Happy Sunday, blog friends! 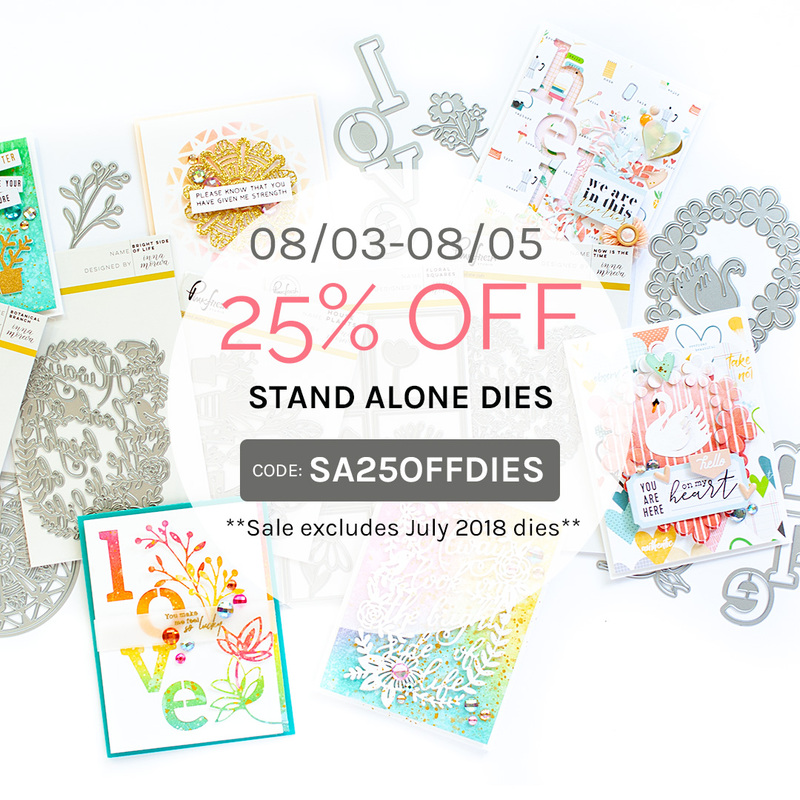 I just wanted to drop in and share one more card with you using the Floral Frame with a Swan diecut set that is also part of the Pinkfresh Studio weekend sale! 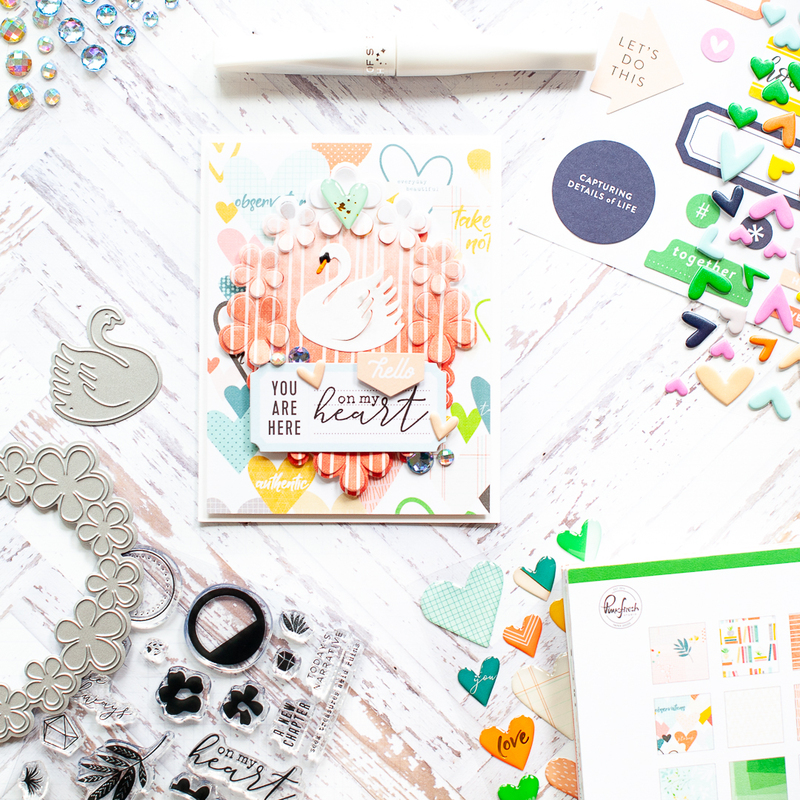 I channeled my inner scrapbooking style again, and paired this lovely diecut with the Pinkfresh Studio Let Your Heart Decide and The Mix No. 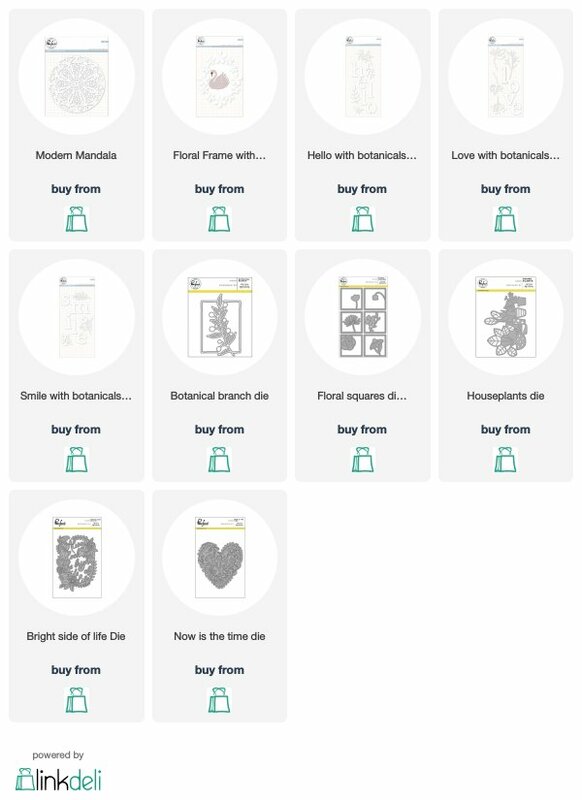 2 collection, including the LYHD clear stamps. 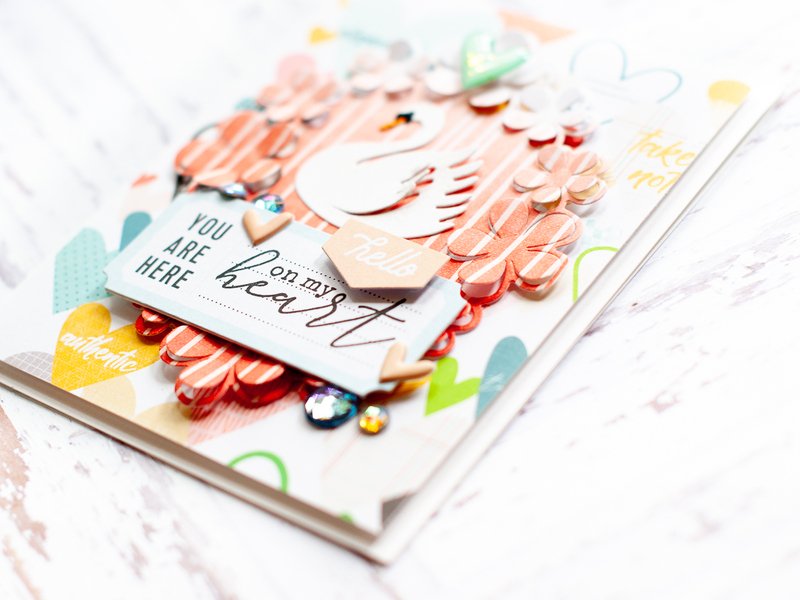 I paired a sentiment from the stamp set with some of the stickers from the paper collection to create this super heartfelt sentiment, and I just love it! To start, I created a top folding A2 card from heavyweight white cardstock. Then I cut heart paper slightly smaller and adhered it to the front with foam adhesive. Then I diecut the floral frame from striped paper and also adhered it to the front with foam. Next I diecut the swan layers from cardstock and layered it to the middle of the floral frame, adding some dimension to the swan's feathers. I stamped the sentiment directly to a label sticker, then mounted it below the swan with foam dots. Then I added the hello tab sticker right above the sentiment with foam dots as well. Then I proceeded to accent the card with an epoxy heart, two pink puffy hearts and my signature jewels tucked here & there. The final step was adding some shimmer to the body of the swan with my clear Wink of Stella glitter pen! 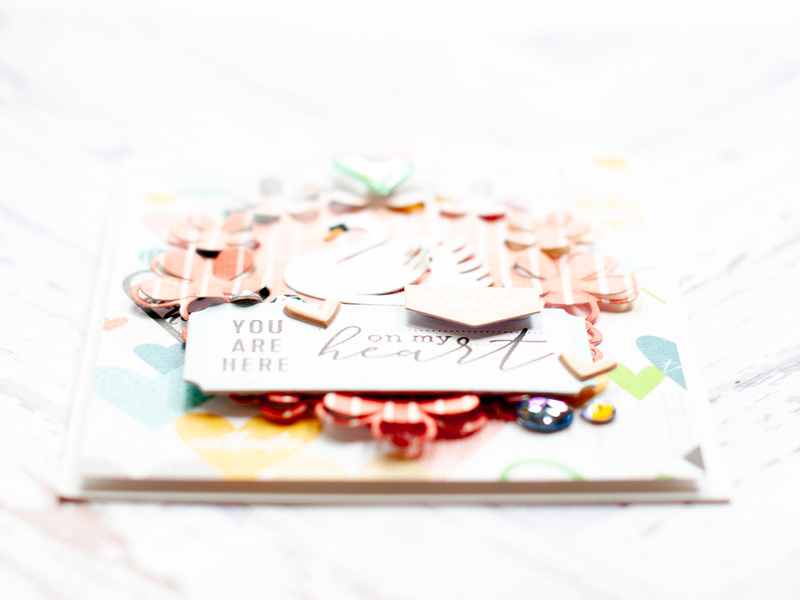 I hope you liked this cute card using the beautiful Floral Frame with a Swan die from Pinkfresh Studio! Be sure to head on over & shop the Weekend Promo section before it ends! Have a wonderful rest of your Sunsday! 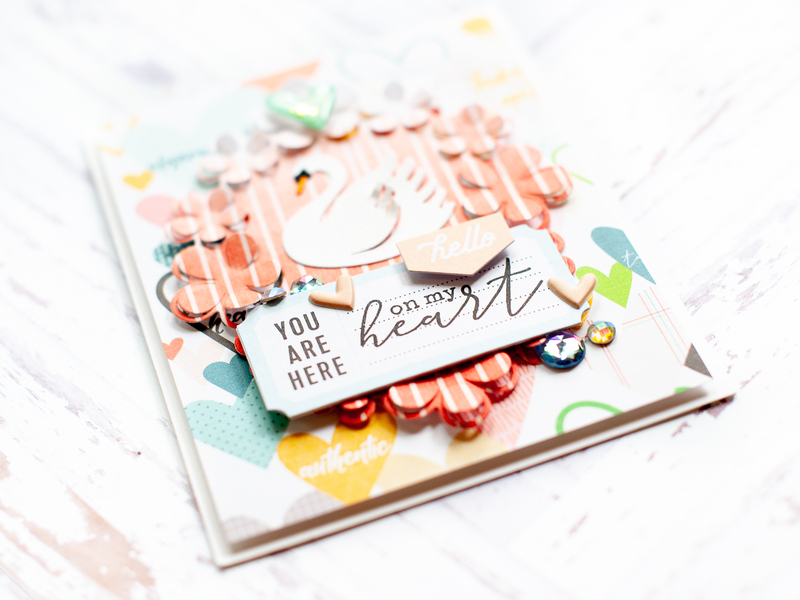 Wow, this card is amazing, I love all the elements and layers, expecially the focus peach colour. Thanks for joining us at the Watercooler Wednesday Challenge. I love the details in your lovely card! You have combined a lot of elements and detail very well! 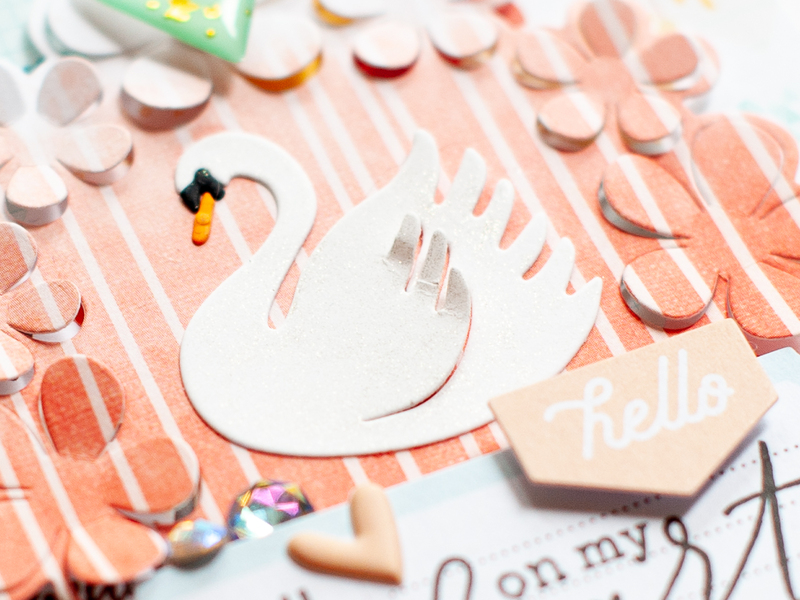 Love the soft colours and the swan really does stand out. Thanks for joining us at Watercooler Wednesday. This is such a pretty and sweet card! Love! Ooohh this is so pretty!! I love this card! Lovely card! Thanks for joining us at Watercooler Wednesday Challenge! Thank you for joining us at House Of Cards. I love that floral frame, the whole card is so pretty.